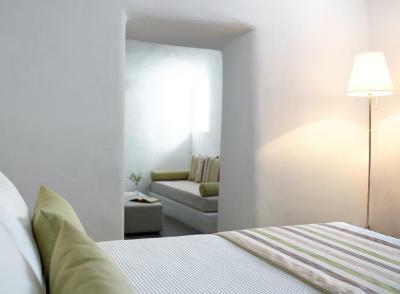 Lock in a great price for Zannos Melathron – rated 8.3 by recent guests! Breakfast was good. The selection of pastries and the a la carte menu was very complete. House donkey helped with our luggage. We were staying in the K Villa & had all the amenities one could ask when traveling with an infant. We had a private outdoor Hot Water Jacuzzi outside in our patio. Guest service was exceptional when it came to getting meals and other information. Our breakfast was served in our room daily and also gave us breakfast we asked for our baby. The whole area around our villa was so peaceful and we got amazing views of the sunset as well! We were just a few steps aways from the Pyrgos town center area to get access to mini markets & local bus stop. 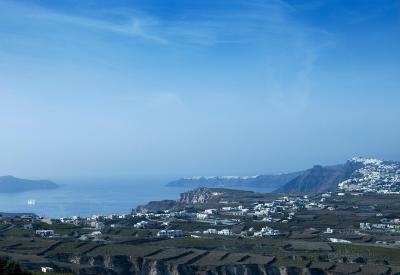 All in all we are very happy with our time spent at Zannos and glad we made the right choice for staying in Santorini! 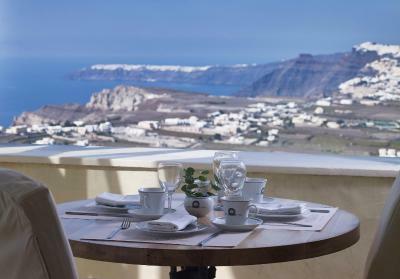 Location, few steps down the hill then you reach Santorini square, staff were very welcoming we got upgraded, we highly appreciate this gesture. 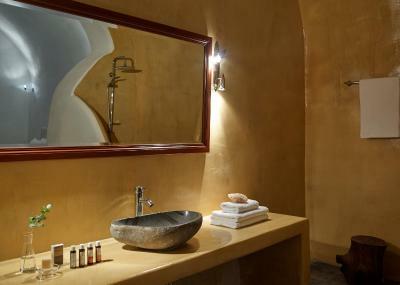 Our villa was super spacious and well decorated and definitely stunning view and very authentic atmosphere. The bed was very comfortable, the room cool & quiet. We loved being in a grotto (even if it was a little damp). The staff was kind and very accommodating. It was also great to be away from the hoards of people who stay closer to the beach. Do be aware that the only access is by foot and that suitcases need to be taken up by donkey. It's also a trick to sort out the busses but the staff will help. It’s very different from Oia or other hotels on the rocks. But it’s must place to see the traditional local Greek neighborhood. All staff are very nice! 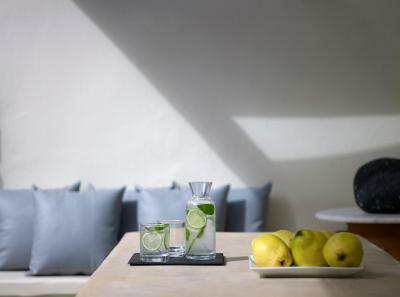 They have ‘the best bartender’ in Santo and a warmhearted room keeper help us taking pictures. All of them are lovely! The staff are some of the most amazing human beings I have ever come across. They took care of us like family and truly care about the people staying at their hotel. The location and views from the patio outside our room were breathtaking. The staff were wonderful. They made us feel very welcome and couldn’t do enough to make our stay as comfortable as possible. The breakfasts were delicious!!! 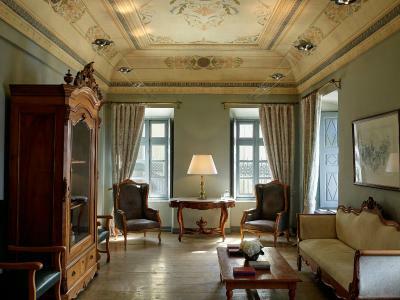 A very special boutique hotel which was previously the mansion of Pygros richest Merchant in the 18th century. Just a few minutes away is a cafe, secret place to watch the sunset!!!! Sarkas who checked me in is one of a kind. Amazing customer service. We were in heaven. Loved the stairs lol..exercise!!!! 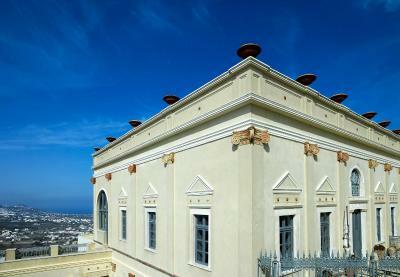 This building is part of Santorini history. The view....awe inspiring. The service ..exceptional The donkey beautiful ...The breakfast fresh and yummy. 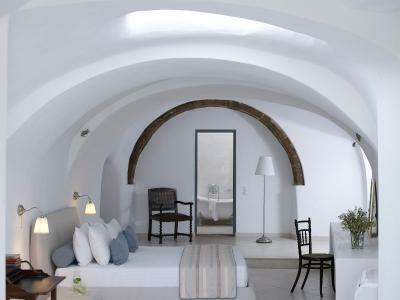 Zannos Melathron This rating is a reflection of how the property compares to the industry standard when it comes to price, facilities and services available. It's based on a self-evaluation by the property. Use this rating to help choose your stay! 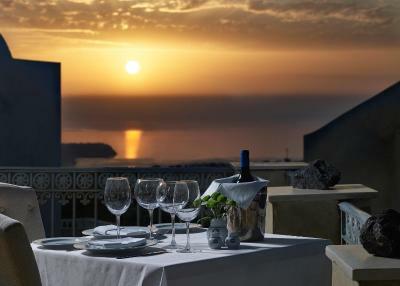 Zannos Melathron is a 19th century mansion adjoined to a historic villa, perfectly located on Santorini's highest hilltop. 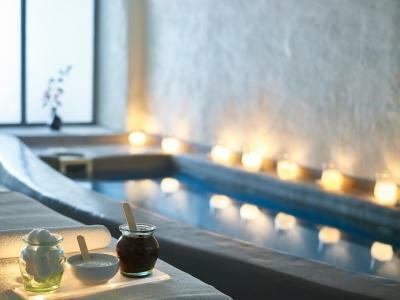 This 5-star hotel provides an impressive swimming pool area and a wellness spa. 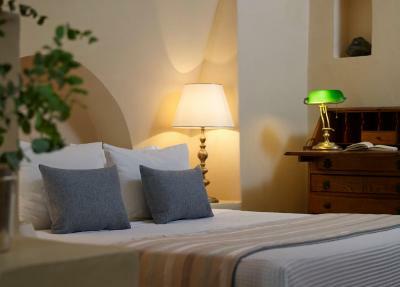 It offers charmingly decorated rooms and elegant suites. 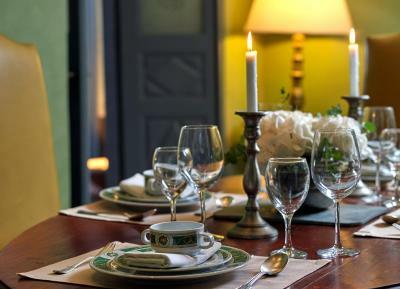 Each retains the richness and elegance of the mansion's origins, disposing original antiques. A basket with fruit and a bottle of wine, as well as a welcome drink are offered upon arrival. Breakfast including aromatic tea and delicious pastries is served at the veranda every day until 14 pm. 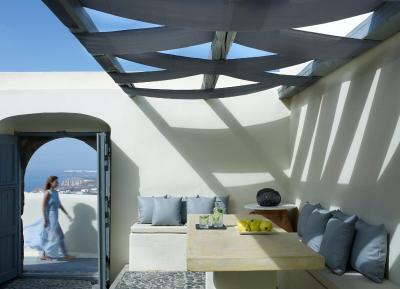 A light and fresh summer feast is served throughout the day by the pool, in the suite or at the veranda. 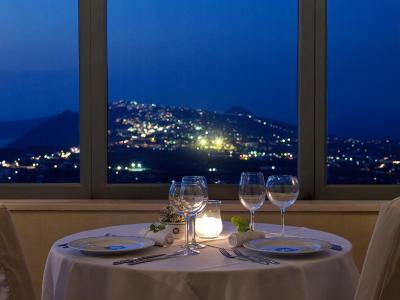 The Zannos Gourmet Dinner offers a fine cuisine that puts emphasis on local flavors. 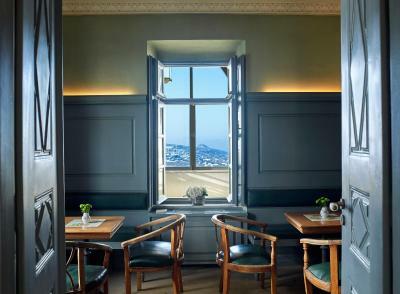 Dinners are served at the Mansion's Veranda or in the glamorous Old Dining Room. 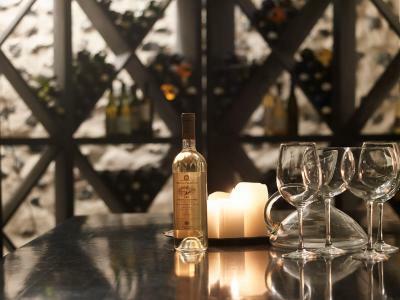 The Melathron’s cellar offers a variety of wines. The Cigar Lounge offers premium cognacs and aromatic cigars. 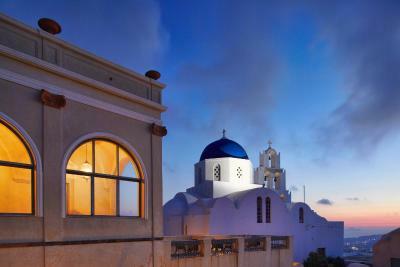 The Villa is 3.1 mi from Santorini airport and 3.7 mi from Athinios port. A few hundreds of feet away from the Villa, there is a Greek Orthodox Church dedicated to The Virgin Mary and the Venetian castle of Kastelli and the Byzantine Museum. 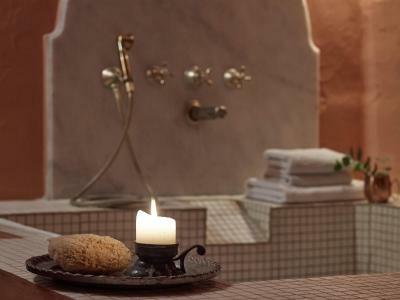 When would you like to stay at Zannos Melathron? 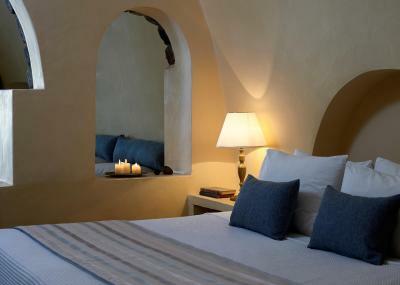 Warmly decorated junior suite with a double-bedded bedroom, a living room, bathroom with bathtub and shared terrace. It is in the main building. The Master suite includes a spacious living room, 2 double bedrooms and 2 bathrooms with bathtubs. 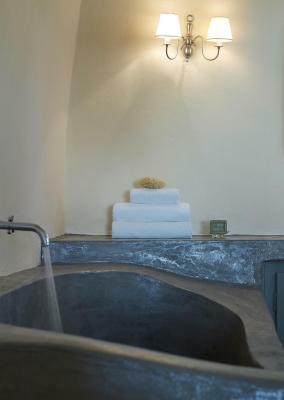 Sharing a hot tub, this spacious cave-style suite has domed ceilings and built-in beds. It features an open-plan living room and a bathroom with tub. Located privately in its own courtyard, the master suite has a spacious living room and a private hot tub at its terrace. This double room features a sofa, CD player and air conditioning. House Rules Zannos Melathron takes special requests – add in the next step! Zannos Melathron accepts these cards and reserves the right to temporarily hold an amount prior to arrival. Zannos Melathron is located on the top of Pyrgos village and it is not suitable for guests with mobility issues. Not that I didn't like it as we we aware of it, but it is a hike up the hill to hotel, but then again if you want the views you have to put in the effort. To get there you have to walk uphill, there is no way to get there by car, so get ready for a good cardio. We stayed in a "master suite" - a house with two floors, two rooms, which were very outdated and lack illumination or charm, not to mention the bathrooms from 1900's. Literally felt like staying in an old house that has been abandoned for some time. The top floor room has a very steep ladder, so leave your luggage downstairs. The living room was really cold and uninviting. The worst came at night when someone knocked on the door and didn't even give us time to stand up and open the door when she was already running inside bringing towels and things we did not ask for and definitely did not need. Very impolite and definitely not a "5-star hotel" behaviour. Pool area felt abandon as well, pool looked like has not been cleaned for days and towels were left on chairs the entire day during the rain until the next morning. The driver this hotel uses for guest transfers is the most unfriendly and rudest person we encountered in Greece, not to mention that he apparently runs illegal transportation business as he charges a flat fee of 30EUR from anywhere to anywhere and straight up refuses to give you a ticket/bill/invoice of any kind. Avoid in-house driver. Just take a taxi on the main square. The staff were so friendly and warm, especially Maria and Apostle. Great customer service, room service, breakfast was a la carte and as much as you would like to order. The views are amazing, cute restaurants around. The hotel itself was very quaint, gothic style and clean. Bed was comfortable. The cleaning lady kept coming in to our room without knocking. Happened several time during our stay. Faucet of the bath tube in room Theodosia requires attention - I had to learn how to fix it on daily basis as plumber couldn’t fix it once and forever. Staff is absolutely amazing and makes you feel like home, especially Maria from HK. 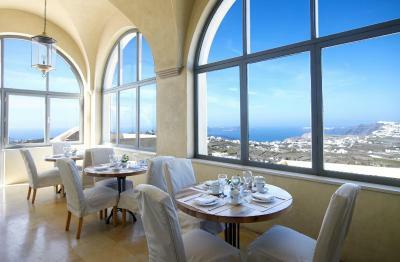 Breakfasts are served until the last guest, the hotel design conveys the history of the place and let you feel the spirit of the island. 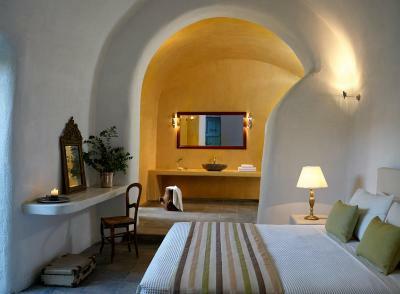 My room at Zannos was amazing. So spacious and clean. Hotel restaurant 20steps from my room. A few steps up to the property but after the first day had it mastered. I rented a quad bike (ATV) and it was really easy to get to all the main locations from here. A few more instructions in the room on how things worked would have been handy. There was a coffee machine s z fridge that dispensed water that I couldn’t work. The Jacuzzi on my deck had the most amazing sunsets from it. Definitely recommend..
Maybe a little work on the bathrooms, tap fixing and give a more luxury look for the toilets. The white color of the towels is not showing they are clean maybe changing the color would be better although they were clean. 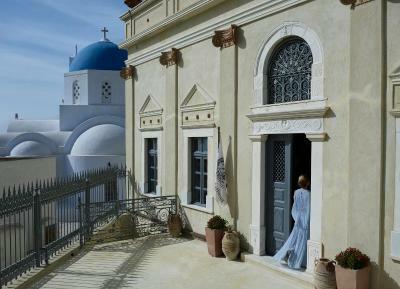 From the moment we arrived in the village square of Pyrgos we knew our adventure had started. Set in the hillside of the ancient capital of Santorini we immediately were immersed into the local culture & way of life of the locals. With Marcos the donkey hauling our luggage to our hotel to settling into our magnificent honeymoon suite, the entire experience was breath taking & one of a kind! 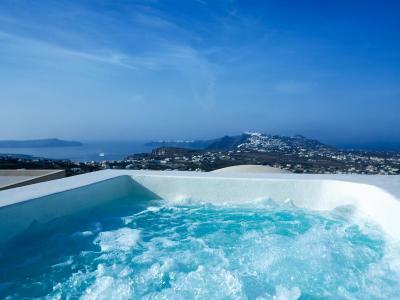 Being the second highest point in Santorini, the view from our private balcony complete with jacuzzi was amazing! The air is so fresh & the experience so rich. Our arrival was met with such helpful and friendly hotel managers & staff. No request was too hard & always done with a smile & such gratitude! If Pyrgos is the choice of location for you, then Zannos Melathron is the place to stay & will be our again should we visit in the future!